I was recently reminded of a story about a simple relationship between two species on Isle Royale National Park in Lake Superior. 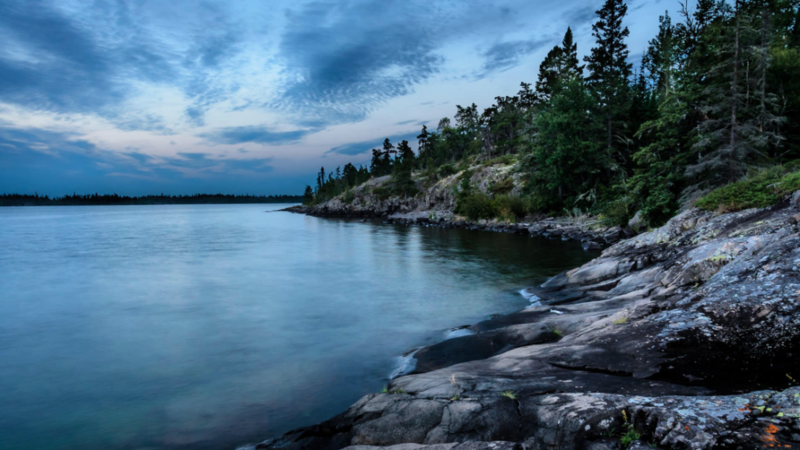 As an isolated island with little human presence, Isle Royale, Michigan provides ecologists with a unique environment to study in. Moose and wolf populations, in particular, have been studied at great lengths for over five decades. This is because the relationship between these two animals on Isle Royale is unlike many other relationships found in the wild. Scientists have been able to observe and monitor what is called a single predator-single prey relationship between moose and wolves. Moose make up nine-tenths of an average Isle Royale wolf’s diet. This contributes to a dynamic where these two species’ populations are dependent on one another. As such, the rise and fall of moose and wolf populations have fluctuated on the island considerably over the last fifty years. In nature, policies and regulations don’t exist. Natural selection is instead the law of the land (and water). The sustainability of ecosystems is therefore only governed by the careful balancing act of biological competition. In theory, growing moose populations should contribute to a greater abundance of food for wolves, thereby allowing wolf populations to grow in reaction. Following a spike in both species’ populations, wolves may kill off too many moose, which in turn reduces wolf populations as well. 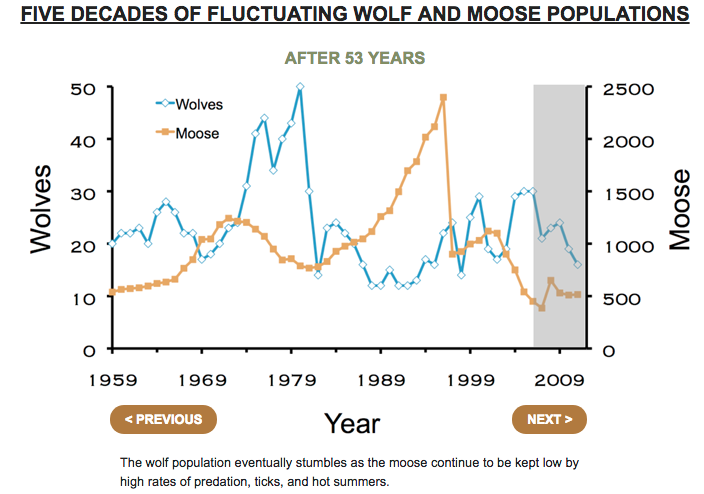 Similar to the long-term trend of moose and wolf populations on Isle Royale, fluctuations in financial markets and business cycles resemble patterns that change over time. This model of ‘animal economics’ can be applied to the sustainability of our own societies. Tragedy of the commons is a concept not secluded to humans and may in fact be a balancing act inherently found in nature itself. Like wolves, humans are generally regarded as an apex predator. Wolf populations, however, are mainly constrained by the amount of resources available to them in a given natural environment. 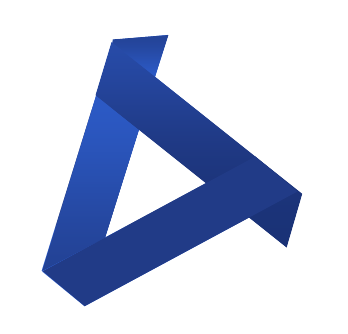 Humans, on the other hand, have been able to develop robust economic systems that provide a seeming abundance of resources. Human populations have therefore been able to grow at an exponential rate that is now expected to reach over 9 billion by 2050. Our global economy may very well be following the trajectory of an ecosystem destabilized by the collapse of keystone species. Concurrent with vast economic development over the last few centuries has been the destruction of ecosystems across the globe. The ‘Anthropocene extinction’ is now killing off species at a rate between 100 and 1,000 times higher than natural rates. The earth’s life support system is now off balance. Does this mean Malthusianism is our destined future? Not necessarily. Capitalism and business works just the same way in our own society. And by-and-large, this economic model has allowed the world’s economy to grow and develop at a rate far superior to any other. But capitalism also has weaknesses where checks aren’t providing enough balance. The moose-wolf example provides a glimpse of a positive feedback loop that theoretically ensures the on-going sustainability of their populations. This is because wolf populations are restrained and limited by the amount of food that is available on Isle Royale. Humans on the other hand, have few if any restraints on the resources they’re allowed to consume. Instead, we use environmental policy and regulation as artificial tools that effectively allow us to simulate the checks and balances nature provides us through natural selection. As consumers recognize the harm we’re doing to our planet, businesses are adapting strategies that mitigate their own impacts as well. It is this combination of free market-induced corporate sustainability with strong environmental policymaking that will allow us to mitigate risk and harm to ourselves over the long-run. On one final note, climate change and other environmental factors have now impacted the moose-wolf relationship on the island to a tipping point. Wolf populations are at an alarming low: two. Warming temperatures from climate change have effectively stopped wolf packs from coming over on “ice bridges” from the mainland to the island. As a result, moose have exploded in population. 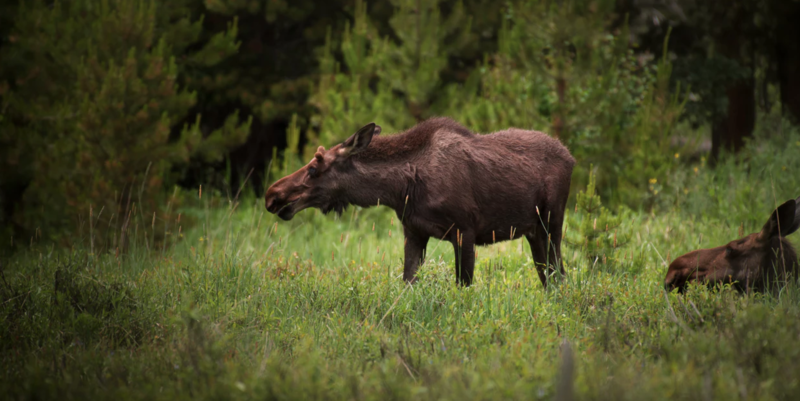 The large numbers of moose threaten the wilderness area’s fir trees and lush forests. The National Park Service is therefore considering options to reintroduce wolf packs to the island in order to restore the predator-prey balance necessary towards keeping a healthy ecosystem. It is exactly this kind of conservation management that we need to implement in order to keep ourselves sustainable and resilient for the future. While society at times may seem far removed from the natural laws of life, we are in fact a core part of the larger ecosystem in which we inhabit. Realizing this is the first true step towards building a sustainable economy for business, society, and our environment.